FERRARI star Kimi Raikkonen's Formula One future has been decided and could to be announced anytime. 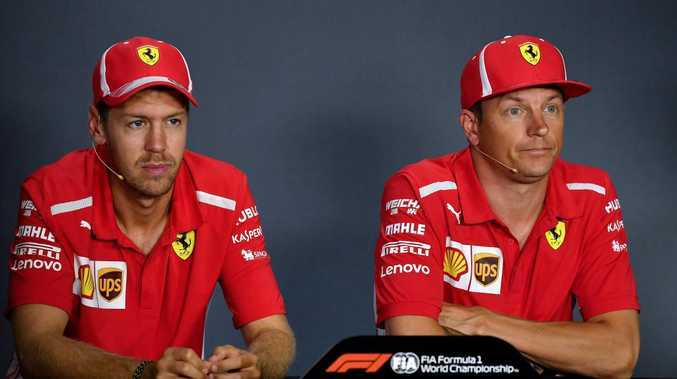 The Ferrari man is out of contract at the end of this season with the Italian team and there has been growing speculation about whether the two-time world champion will be offered a new deal, The Sun reports. However, sources in Italy say the Finn's future has already been decided and he has been told by new Ferrari chairman John Elkann that he is being released. An announcement is expected from the team's HQ in Maranello. It is thought Charles Leclerc will replace Raikkonen and complete Ferrari's line-up for 2019 alongside Sebastian Vettel. The news will be a huge blow to Raikkonen's fans across the globe. The 38-year-old enjoys cult status, despite being a man of few words. He finished second in last weekend's Italian GP. Reports in Italy claim former Ferrari CEO Sergio Marchionne signed a deal with Leclerc before passing away in July. Raikkonen had previously quit F1 in 2009 to try his hand at rallying, ice racing and truck racing, before returning to the sport with Lotus in 2012. He then rejoined Ferrari in 2014 and has since had 23 podiums but no victories. Defending champion Lewis Hamilton said the sport wouldn't be the same without the Iceman, who turns 39 next month, on the grid. "I made it no secret that before I even got to Formula 1, when I was playing the PlayStation I was always Kimi in the McLaren, imagining that was me," Hamilton said. "Then I remember the first car I drove at McLaren, which was Kimi's set-up and the suspension that he would use. It was an amazing experience and it was cool because I think our driving style was kind of similar, which meant that I ended up being quite comfortable with the set-up that he used back then. "He's had an incredible career and it's been a real honour to race against a great Finn such as him. He looks like he's just ice-cold. He's just got plenty of years left in him. He's not seeming to age." F1 chief Ross Brawn said earlier this week: "I don't know what Kimi's short-term plans are, whether he'll stay at Ferrari, join another team or leave Formula 1 altogether. "But I do think that during his interview by his former teammate Felipe Massa (on the podium after the Italian GP), he became quite emotional watching the huge sea of fans flocking across the track to stand under the podium and chant his name. "Since I returned to Formula 1 last year, I've noticed how Kimi has lightened up. "It can be spotted in a host of little things, such as spending a bit more time signing autographs or smiling for cameras that in the past would usually have only elicited a scowl. "This year, he is certainly driving better than at any time since he returned to Ferrari and maybe another chance (to win) will come along soon."